Nutrition and training is key to keeping healthy. Both work in synergy whether your goal is to gain muscle, lose fat, or develop overall body conditioning and work towards a balanced lifestyle. Some experts, such as Nutritional Biochemist Shaun Talbott PhD, claim that nutrition contributes a whopping 75% to overall health and wellbeing. 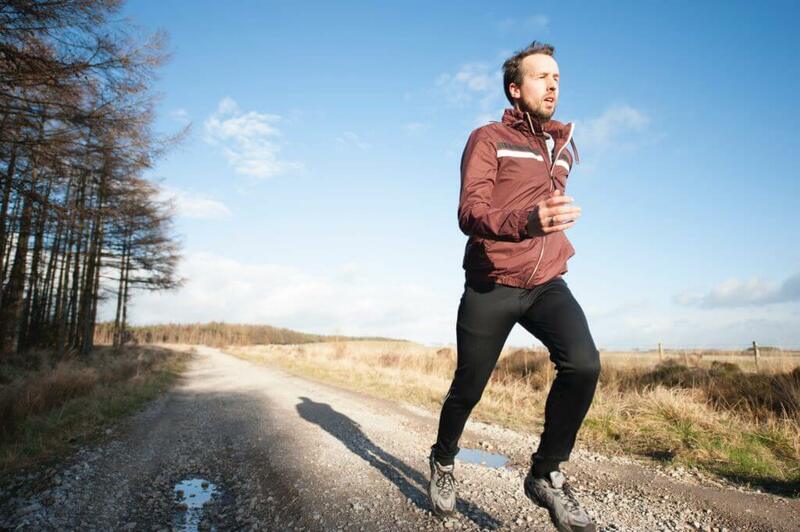 Focusing on combining these vital lifestyle changes, with the help of some of our in-house experts, will provide you with the guidance you need to prevail through those spring months and into summer. Focusing on your goals, needs and mindset will help you maintain the momentum needed to make being healthy a habit for life. Keep a positive mindset – Starting your day with positive, optimistic and fresh thoughts is paramount in determining how your day unfolds and the choices you make. Telling yourself ‘I can’ is vital when maintaining a healthy diet and lifestyle. Break patterns of unhealthy habitual behaviour and try to form new, healthy ones through channelling positive thinking. A study published in the European Journal of Social Psychology found that habits take an average 66 days of to form, so don’t give up. Remember, a healthy diet full of protein and beneficial fats is so important for a healthy mind. Set realistic goals – Setting and obtaining achievable goals, step-by-step, is a great way to motivate and drive your gym sessions. There’s nothing more satisfying than seeing your hard work pay off. Setting your own weekly SMART goals (specific, measurable, attainable, realistic and time-bound) is a great way to set yourself up for success by breaking down your goals into manageable bitesized pieces. Alternatively, try out the Myzone fitness trackers in our centres – one of the most versatile fitness trackers on the market. Myzone tracks your heart rate, calories and effort, catering for many goals whether they are weight loss or muscle tone related. It’s built in memory allows you to set weekly goals to track improvements; just remember to reward yourself for all the hard work with positive things such as a full body massage or getting some new gym gear. Fitness friends – Not only does having a workout buddy have a huge impact on your level of commitment and motivation, but it’s also great for exploring new workouts and bringing variety to your sessions. Mixing up your workouts will keep things fresh and interestin, and you may even find yourself venturing to places you never thought you’d venture (e.g. like an hour long HIIT class). And anyway, who doesn’t like a bit of friendly competition? Maintaining healthy habits and keeping active throughout the seasonal changes can be a challenge, and good nutrition is key to staying mentally and physically well. After the cold winter months, spring is the perfect season for providing delicious and nutritious food; something that comes as a breath of fresh air. With summer on the horizon, what better way to spruce up a salad than with our Head Chef Stewart Parker’s Bang Chicken and Kale Salad? Using the very best of springtime’s seasonal vegetables, including rocket, watercress, kale, and cucumber, it’s the perfect way to embrace the fresh feel this season brings. Eating seasonally means produce is more likely to be fresher and higher in nutritional value. Loaded with protein and healthy monounsaturated fats, this recipe ticks all the right healthy boxes and is guaranteed to keep you satisfied. The good guys – unsaturated fats – both poly (Omega-3, Omega-6) and monounsaturated (avocados, nuts, and olive oil), help lower cholesterol levels and reduce risk of heart disease. Saturated fats – including animal fats and animal products – although healthy in moderation, should make up a lesser proportion of your diet and can increase levels of bad cholesterol. 120g vegetable spaghetti of choice e.g.carrots, courgettes etc. To prepare the vegetables, dice the cucumber into small cubes and cut the cherry tomatoes in half. For the raw vegetable spaghetti, use a spiralizer to create the desired shape, or it can be hand chopped at home (requires specialist knife skills). If you’re looking for an easier alternative, pre-made vegetable spaghetti can be purchased from most supermarkets. For the dressing, blend all ingredients together in a jug blender. To assemble the salad, pull and shred the smoked chicken, removing any skin, and place into a bowl. Remove the ‘woody’ stem from kale. Cook in hot water for 1 minute until slightly wilted, then refresh in ice cold water. Squeeze the excess water from kale once cooked and mix with chicken. In another bowl, mix the cubed cucumber, halved cherry tomatoes, rocket and watercress with your prepared vegetable spaghetti. Mix chicken and kale with the Bang dressing and place on top of the prepared salad. Sprinkle the salad with black sesame seeds and garnish with coriander. Our chef’s ‘Bang Chicken and Kale’ recipe can be made by the masses, for a packed lunch, dinner or even for a summer BBQ. 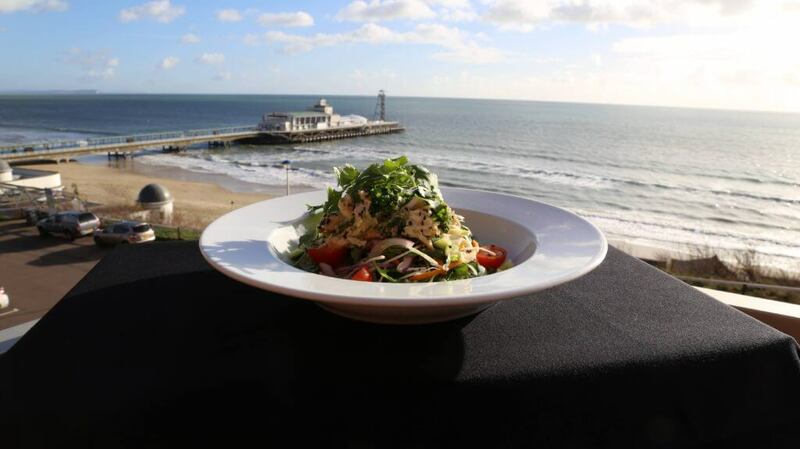 Alternatively, head to some of our Terrace Cafés where you can enjoy this delicious dish freshly prepared for you daily, as well as many other new and nutritious meals. can’t put together the structures that make up every cell, nor can it generate the substances needed for muscle contraction, growth, and healing. After a workout, protein consumption aids the healing of “micro tears” in the muscles, which overtime builds strength and tone. This makes peanut butter a super pre or post-workout snack, dishing out a whopping 25g of protein per 100g. Although peanut butter is known for its high fat content, it is extremely rich in vital monounsaturated fats and antioxidants, helping to protect our bones, muscles and skin, as well as helping our tickers stay happy and healthy by lowering the risk of heart disease. Try opting for an organic brand that contains few additional ingredients, and spread on a sliced green apple or try adding a spoonful to your porridge as a crunchy topping. If your primary aim is weight loss, opt for a leaner protein such as chicken which provides us with 20g of protein per 100g, and only 4g of fat. Make sure you choose skinless breast meat to keep fat content to a minimum. As well as being physically beneficial, protein is required for the brain to produce chemicals such as dopamine – the ‘feel good’ chemical so therefore not only packs a punch with strength and fitness, but also with mental wellbeing and a positive mindset. If you’re at one of our centres, try our grab-and-go protein pots from the Terrace Cafés and reap the benefits. 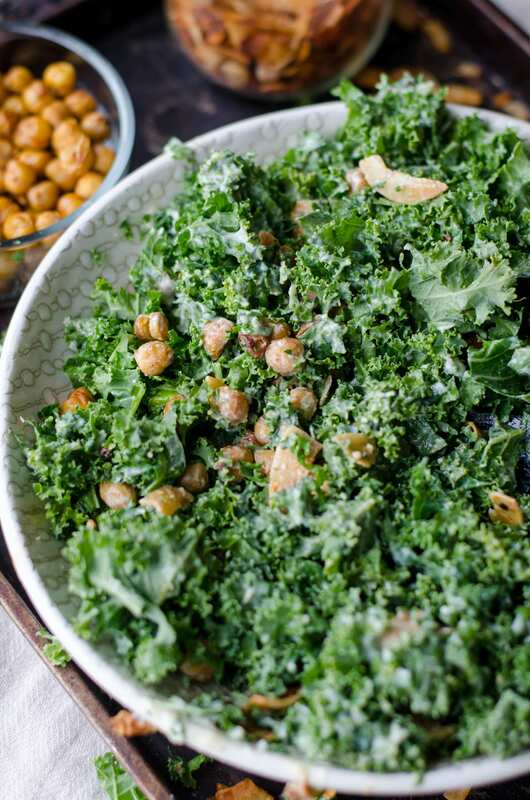 Recently stepping into the superfood spotlight, kale’s rise to fame is not without reason. Amongst the most nutrient dense foods on the planet, kale boasts a dose of vitamin A, K, C, B6, B1, B2, B3, iron, phosphorus, manganese, calcium, copper, and potassium – so what’s not to love? As well as this, it’s packed full of powerful antioxidants with cardio-protective, blood pressure lowering, anti-inflammatory, anti-viral and anti-depressant properties. Being a seasonal favourite, make sure you incorporate it into your weekly meal plans. Try it sautéed in a pan with coconut oil and fresh garlic, creating a delicious crispy addition to any meal. For more information and tips on nutrition and fitness, visit our YouTube channel for videos on healthy recipes and exercise ideas. A variety of healthy meal options are offered through our new seasonal menu launch, available at a selection of our Terrace Café’s. This blog article was written by Ashley Scully, Marketing Executive, BH Live.